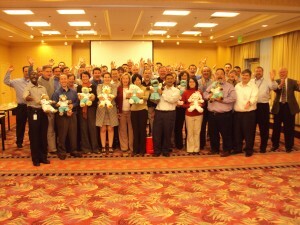 MedImmune hosted a great Rescue Bear Team Building Event that culminated in 25 new stuffed animals being donated to the Children’s Inn at the National Institutes of Health in Maryland. 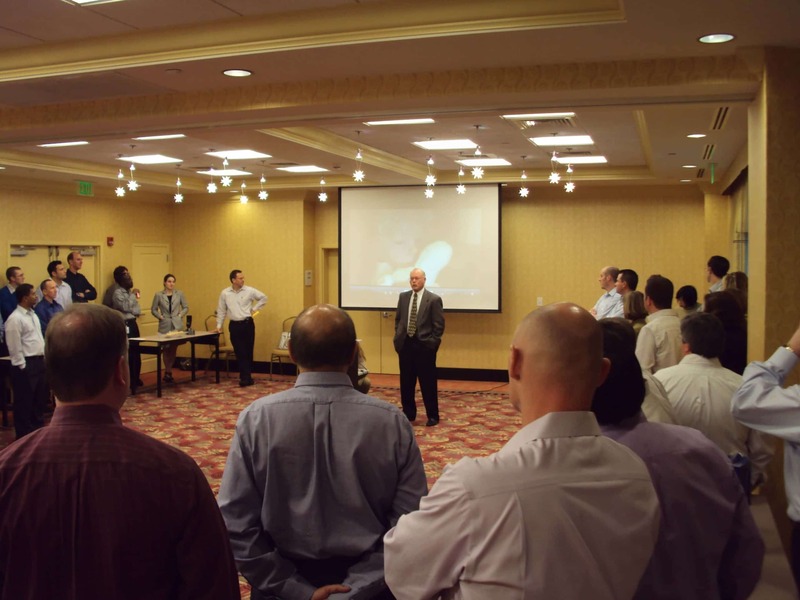 The event, held in Rockville, Maryland, was a time to get to know one another better, have some fun and laughter, and to learn a few things about leadership and team building. The many activities during the afternoon helped to solidify relationships, build some bridges, and see one another in a little different setting than the usual. Along the way the participants were involved in many activities to keep then moving and thinking. The final section of the event was the answering of questions, solving riddles; and each answer provided the items necessary to complete the stuffing of the bears, getting them dressed and into gift bags. As each group progressed through the last activity they found themselves in a difficult situation. Some groups had stuffing, outfits and gift bags, but no animal skin to finish the project. Others found themselves with the empty skins, but no other ingredients and some had everything they needed to complete 1 or 2 or… animals. What each team finally realized was that they needed to work with other teams to be able to complete the project of building all 25 bears to be donated to the Children’s Inn. Once the teams realized that they needed each other they gratefully and generously shared so that the project could be completed. Many companies find themselves in competition within their own companies. They are fighting for budgetary considerations, limited resources, talented personnel, etc. The main concern is that when a company finds itself in competition within itself, no one wins. For even if one department, or location, one segment does prosper over another- if it is at the expense of another then the company as a whole has not won or made progress. Competition can be healthy if it is motivational and is considered positive by all involved. But much competition is not healthy and undermines the effectiveness of the whole organization. MedImmune is a great company with wonderful people. They enjoyed each other, had a lot of fun, laughed heartily and completed the task. The best part- they contributed to children and families that appreciated their giving. Thanks Med Immune for making a difference.